Well I was away at 6.30am this morning, as it is meant to get quite warm later on in the day. For the first 40km I followed the coast to Mornington. There were a few rolling hills along the way, but I was again enjoying the views across the bay. When I got to Mornington I stopped for a coffee. It was only 8.30 and already I was starting to feel warm. I then followed the Highway for a few kms and then took some back roads which ran along side. 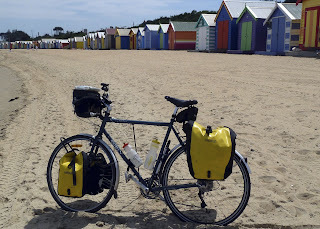 I then took the turn off to Beach Road. 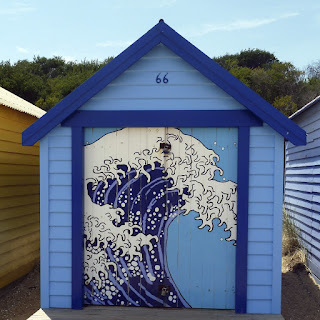 This would bring me back along the coast. I was getting really hot and having a headwind didn't help. Thankfully there were plenty of places for me to stop, cool down and rehydrate. 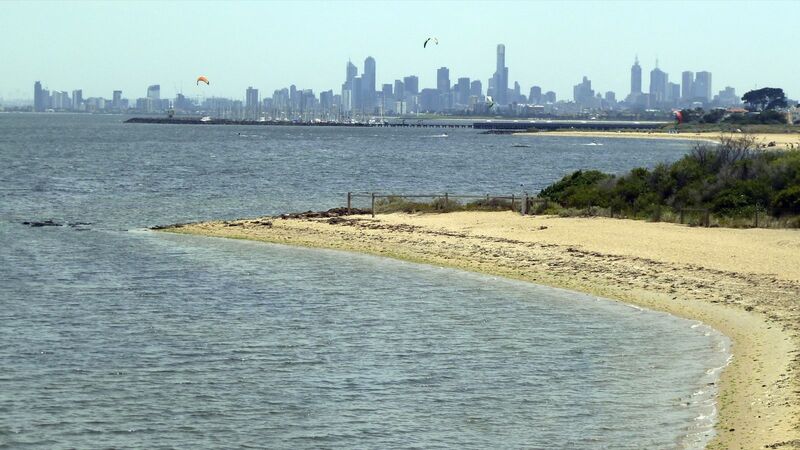 Also along Beach Road there is a great shared cycle path taking you all the way to St.Kilda. 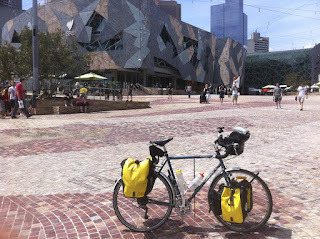 I got to St.Kilda at 12pm and stopped for some lunch. 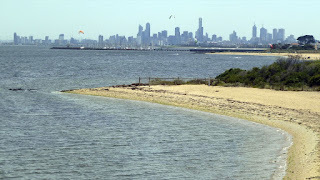 St.Kilda is a major beachside suburb in Melbourne. After lunch I relaxed and had a look around. 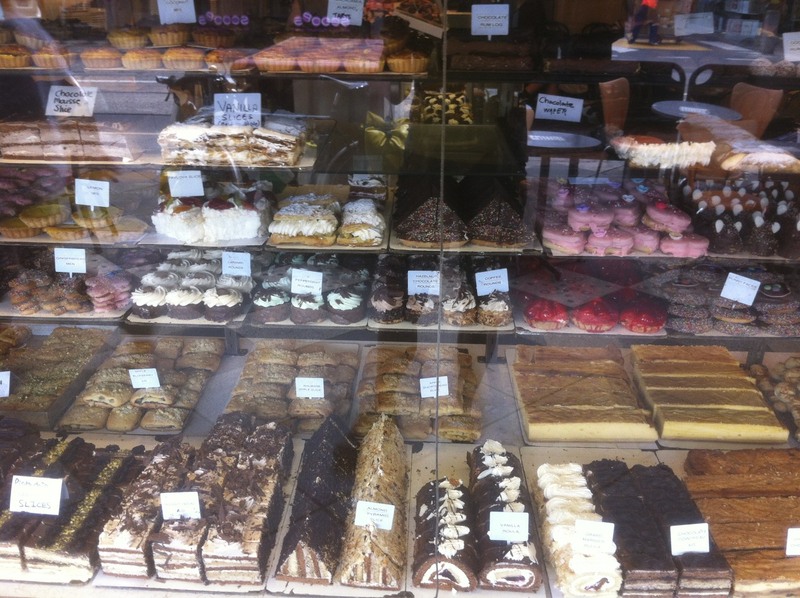 Along the main street, Acland Street, there are these amazing cake shops. Like four in a row. So of course I had to get one to take to the park to enjoy under a shady tree. 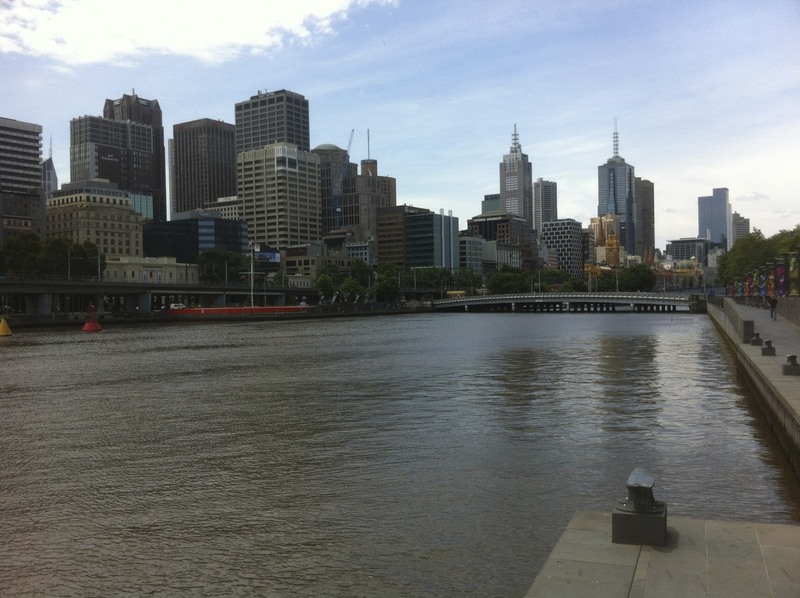 I decided to ride through Albert Park to get to Melbourne CBD. It was really humid, but didn't take long. 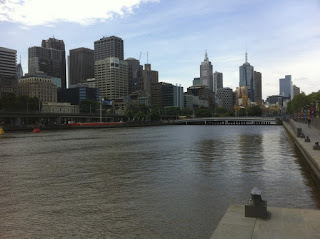 I then had a short ride along the Yarra to the Botanical Gardens. Where I relaxed under another tree. A little while later I headed back into town to my accommodation. I was very pleased I left Sorrento nice and early this morning. As it meant I did most of my riding before it got too hot. Tonight will be the first night on this trip I'm not cooking pasta. Instead I'm going out for dinner. Tomorrow's ride is nice and short to the airport. Then it is on the plane back home to Sydney.